McCain ATC eX NEMA Controllers - J.O. 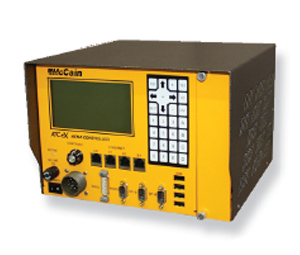 Herbert Co., Inc.
McCain’s ATC eX NEMA controller is an advanced, multi-application controller that simultaneously supports multiple software applications through a single platform. Designed from the ground-up based on NEMA TS 2 and ATC 5.2b standards, the ATC eX NEMA controller provides revolutionary flexibility and control. Best of all, the single ATC eX compliant housing can be configured for either TS 2 Type 1 or TS 2 Type 2 applications and is backward compatible with TS 1. This allows end users to upgrade existing intersections to a modern, high-performance platform without the need to replace cabinet hardware.